At our shop you will find high quality products at the best possible price. We can advise you on your purchases and about installing equipment. • Nautical clothing and footwear. • Sale of new and pre-owned boats plus servicing and maintenance. • Sale of new trailers. • Stainless steel screws and fittings. • Marine electronics and navigation instruments. • Life-saving equipment and flares. • Sale of cleaning and conservation material. 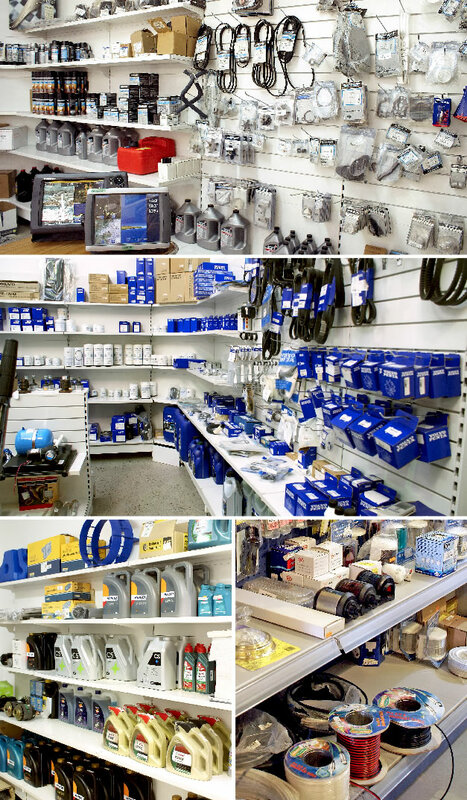 • All manner of accessories and spare parts for boats and engines. 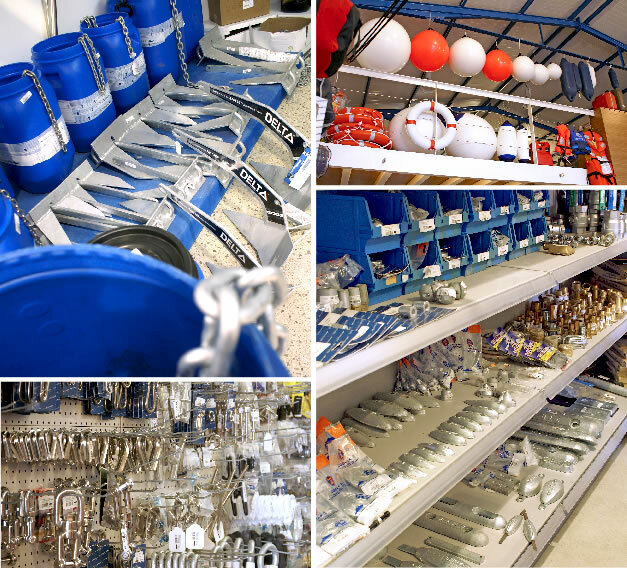 Section dedicated to hardware and other vital elements for sailing and motorised boats. Extensive stock of original spare parts and everything for your engine to run smoothly: filters, oil, belts, anodes, propellers, etc. We offer technical support and advice for the installation of all kinds of electronic instruments in boats: GPS, PROBES, PLOTTER, RADAR and electrical material in general. We are authorised to install maritime radio-communications. We are the distributors for the best brands on the market. 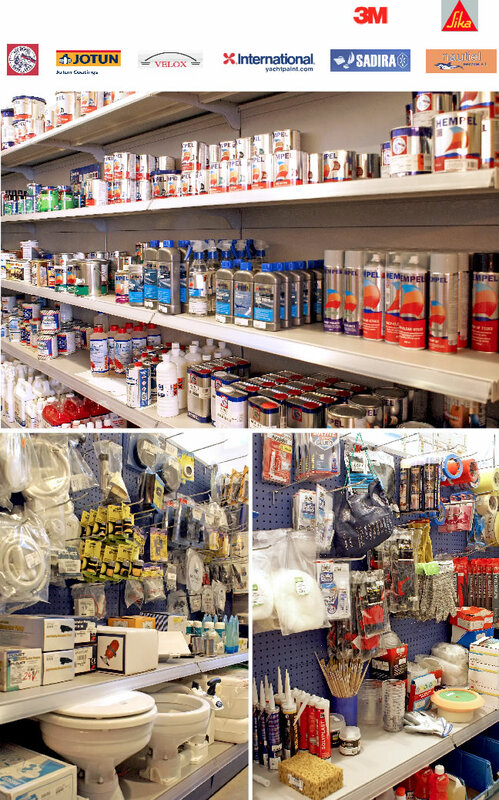 We have the best brands and products on the market: enamel paint, varnishes, primers, polishes, antifouling, etc. As well as the latest and most stylish clothing designs you’ll also find all the accessories your need to set sail.